This is a well composed design with a great deal to enjoy. The face is perfect but there is a large flake off the back. 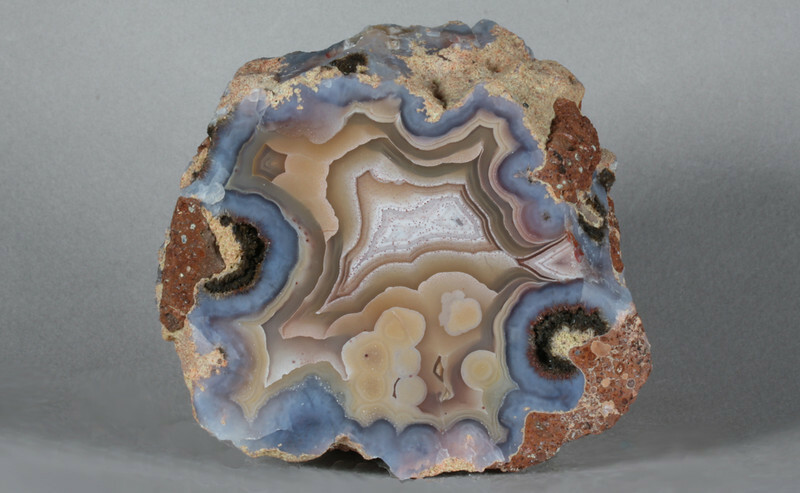 This rough was mined 30 or 40 years ago and at that time almost all agates were cut into slabs and the idea of the perfect half nodule was not current. The miners in Mexico certainly felt that taking a chip off was not a problem, actually that practice is still quite common.